is produced in Slovak wine region, which consists of seven communities, and 565 hectares of vineyards. 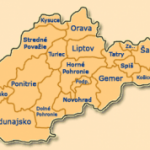 Slovak wine is produced in the southern part of Slovakia, which is divided into 6 wine production areas. 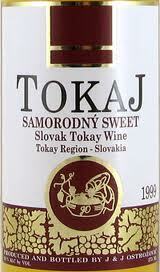 Although the Slovak Tokaj wines, except there is a well-known internationally, they are popular at home and in neighboring countries. 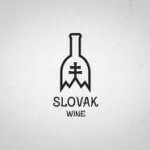 Vintners Slovak Tokaj wine region, wine-makers can use the label if they apply to Hungary, the Slovak equivalent of the quality control rules. • Soil and microclimate: The Tokaj area consists of clay or loess soil of volcanic subsoil. Microclimate determined sunny, south facing river Tisza and Bodrog slopes and proximity, and is conducive to Botrytis cinerea (noble rot) and then dried grapes distribution. Local grape varieties: Furmint and Lipovina were grown in the region for centuries, and with Yellow Muscat and Zeta is only grape varieties officially permitted in the region. – Type: most types of systems have been carved out of solid rock. They provide a constant temperature of 12 ° C and high humidity around 95%, which is ideal for the aging of Tokaji wines. • Appellation system: Royal Decree of 1757 established a closed production district Tokaj, the world’s first wine appellation system. Vineyard classification began in 1730 and was completed in 1765 and 1772. National censuses. Brut Nature – If the sugar content is less than 3 grams per liter, these terms may be used only for non-sugar was added after the secondary fermentation products. Extra Brut – if its sugar content is between 0 to 6 grams per liter. Brut – if its sugar content is less than 12 grams per liter. Very dry – if its sugar content is between 12 to 17 grams per liter. Dry – If the sugar content is between 17 to 32 grams per liter. Demi-Sec – If the sugar content is between 32 to 50 grams per liter. Sladké – Doux / Sweet “- if its sugar content is greater than 50 grams per liter. It slopes of the Little Carpathian Mountains sandstone with clay soils, has ideal conditions for grape growing. Vineyards in the region has a tradition going back over two thousand years. Top VARIETALS here is Veltlinske Zelené, Rizling Vlassky, Frankovka Modra, Rizling Rynsku and then executed, Portugal. The Wine Route leads through picturesque small towns of the Carpathian Mountains in Slovakia wine producing near the mountainous region Bratislava.he tradition started centuries ago. For the Romans reached the Danube region started to produce wine. 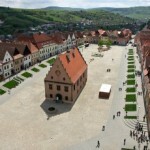 Small towns that developed along the Small Carpathians wine was an important revenue source for the Middle Ages. Slovak wine is still a big mystery for many Europeans. It is well known that one half of the Tokai region is famous in Slovakia and HE Hubert Company was the first outside France, presented the classical method of fermentation of sparkling wine bottles. Come solve the mystery of wine in Slovakia and to learn how to tell the Slovak wine toast Well zdraví [health]. The preliminary schedule for one week stay in Slovakia, combines elements of the program focuses on the cultural history of winemaking and the Slovak capital, Bratislava, Slovakia. The second trip is an opportunity to see the most beautiful areas of the Tatra Mountains and enjoy the landscape of the north (potatoes, producing …) in Slovakia. 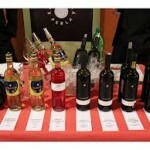 The program can be altered or abbreviated to cover the wine-producing area in Bratislava. Thank you post. It’s not that kind of information article I was doing, and this kind of. I’d constantly want to be update on new posts on this internet site, saved to fav! Thanks alot for your blog! It is very important to me. Good luck!